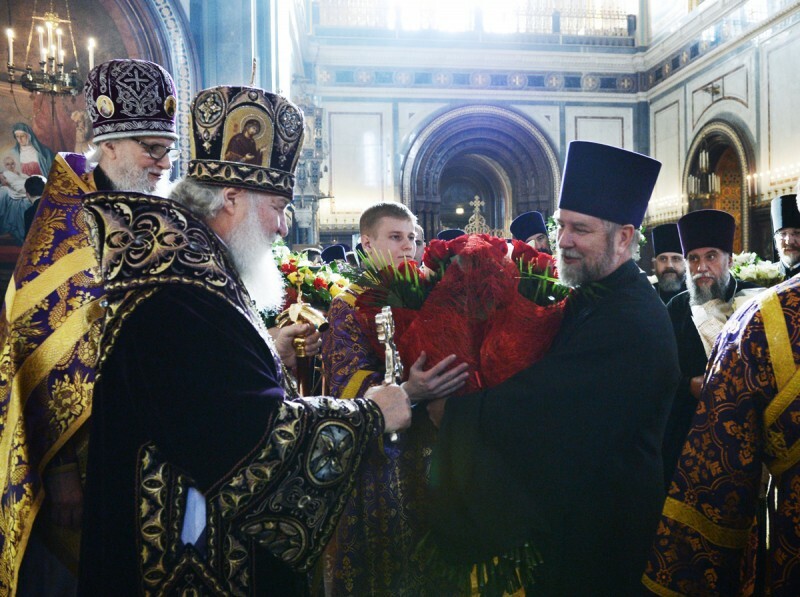 On 14 March 2014, Friday of the second week of Lent, His Holiness Patriarch Kirill of Moscow and All Russia celebrated Vespers and the Liturgy of the Presanctified Gifts at the Cathedral of Christ the Saviour in Moscow. That day marked the 38th anniversary of his episcopal consecration. Concelebrating with Patriarch Kirill was an assembly of hierarchs and clergymen of the Russian Orthodox Church. His Holiness Patriarch Kirill addressed the worshippers with his primatial homily, focusing on the situation in Ukraine.